Are you smarter than a 5th grader? OK, what is the longest river in the world? Gotta’ be the Nile River, right? It flows 1,700 miles from Khartoum, Sudan to the Mediterranean Sea – and that is just where the White and Blue Niles meet. You can follow the White Nile south to Lake Victoria bordering Uganda… and then the arguments begin on what is the source of any river. 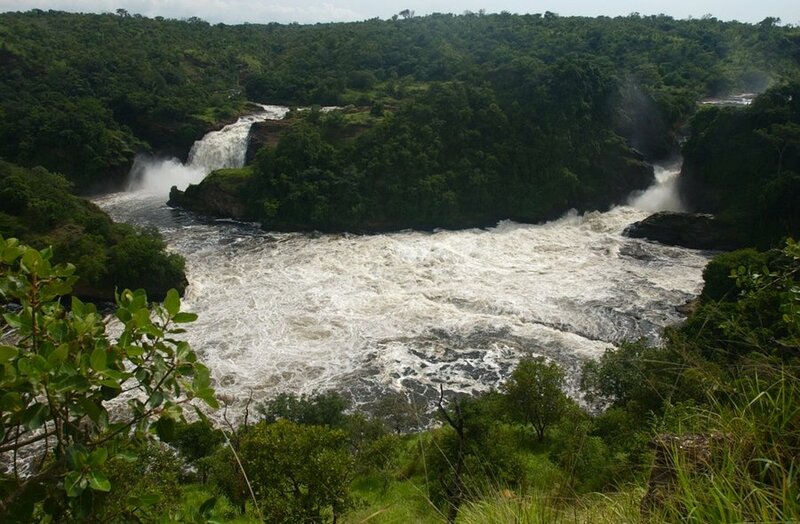 Clearly rivers, streams, and the like flow into Lake Victoria – do you get to keep following the water flow? Even as recently as 2006 the geographers and cartographers were seeking the “headwaters of the Nile River.” The most recent claim is a muddy hole in Nyungwe Forest in southwest Rwanda. The forest area is spectacular, the muddy hole not so much. Personally, I would have taken Lake Victoria as the headwater. Think about it: a great lake giving greatness to the greatest river. Denial lurks behind our gospel today. Jesus has forewarned his disciples three different times about the destiny awaiting him in Jerusalem where he will be betrayed, suffer, be crucified, and die. Each time the disciples are in denial about the fate that awaits their Lord; they are in denial about the suffering he will face. Jesus asks them, “Can you drink the cup that I drink or be baptized with the baptism with which I am baptized?” They boldly respond that they can – perhaps only revealing the denial that possess them as they teeter between “who will be the greatest” and the suffering that awaits. I suspect Jesus’s answer is: “Indeed, if you follow my way, you will indeed suffer … but don’t do it for the glory – besides that’s not mine to give. You had better be clear in your own mind why you are doing this because when it gets really difficult, that is what will sustain you.” It is that graced clarity that sheds light into darkness of denial. It that graced clarity that sustains you when it gets difficult to pick up and carry your own cross. That helps you “just do it” when you are asked to give it all away and follow the way of Christ. It is what allows you to persevere when you know that you will not be first, but will be dead last. It is the graced clarity that sustains when denial has emptied itself and you are faced with the road of self-sacrifice and suffering. At the bedside of an aging relative whose care will absorb your life. The unexpected phone call comes that brings news your world will never be the same, never be what you had hoped for. Haunted by the words spoken about you by your friend as you teeter between walking away and reconciliation. Why don’t we walk away? Inner fortitude? Commitment? Obligation? Promise? All good things, admirable things – but can they sometimes be a cover for denial. We want the experience of love to be glorious, thrilling, and fulfilling. But sometimes love and suffering come along for the same ride. Obligation can only take us so far. Taken too far, obligation for obligation’s sake can erode love and leave bitterness – and leaves us with just the suffering. Why do we stay? Why did the Apostles stay? Why visit your loved one suffering from Alzheimer – they don’t remember you any more – your visit will make no difference. Why reconcile with someone who has taken advantage of you in hurtful ways? I think the answer is that in all these situations there is an opportunity to love. It may bring suffering. It might entail some loss. It might be love rooted in a new, a renewed relationship, a new footing. It will take energy and time. And the journey and destination will be marked with obstacles and challenges. Mercy for the times we did not stay, but walked away. Grace for the journey to keep the darkness of denial at bay and to keep us on the way. Today at this way station of your journey, come to the throne of the Eucharist for that mercy and grace. Come and let your “Amen” be a prayer for the Grace that teaches us to truly love. This entry was posted in Sunday Morning and tagged denial, love, mark-10-35-45, suffering by Friar Musings. Bookmark the permalink. Firdt, thank you for your musings – they help me reflect more deeply. Why do i stay? Where else would i go? Where else can i be so intimately united with Christ in the Eucharist, be healed and propelled to be Christ Incarnate for others? You pose interesting questions. What would our answer be to Christ if we were in the disciples’ shoes 2,000 years ago? Interesting indeed. I may have hid in the upper room, too. With God’s transforming grace, we kneel humbly before the Lord in thanksgiving and are grateful for everything He has done for us. Blessed are we! I think we stay because of Christ’s love, the one and only ever lasting love! We are one of the beloved. How precious is that!